A rising tide lifts all boats – that’s what they say in the stock market. In other words, when the Dow Jones goes up, other stocks get bid up in price because investors are in a happy mood. But what about when the Dow Jones is going down: does a falling tide sink all boats? No! A great company will persist even on days when the major market indices are declining. This is especially true with small-cap stocks, which can be surprisingly resilient to market index fluctuations. It’s not a pretty picture, but that’s the reality of the situation: major sectors haven’t been doing well and mega-cap earnings haven’t been robust lately. This is particularly true with the traditional automotive sector, as car sales have been flagging and the ride-sharing trend has caused millennials in big cities to delay buying cars or just not buy a car at all. But the mega-cap malaise hasn’t affected all stocks; like I said, a falling tide doesn’t sink every single boat. And when a stock does buck the trend and head north when others are sinking, that’s a great sign for the stock and the company – it’s a vote of confidence from investors, as well as an indicator of strong fundamentals. We touched upon the ride-sharing trend and how it’s impacting the traditional automotive market, and there’s actually a small company that’s taking this concept to a whole new level with an electric scooter (a.k.a. e-scooter) ride-sharing business that’s making its mark in multiple big cities. It’s called LoopShare Ltd. (TSX-V: LOOP, OTC: LPPPF), and it’s the first fully-integrated electric scooter sharing service in the world. Their ride-sharing service is called Loop Scooters, and people are already spotting them all over the place in major metropolitan areas in several countries. These are highly advanced scooters with a dashboard featuring a 7-inch touchscreen, as well as GPS and GSM connectivity. The screen on the dashboard can serve as a potential revenue stream for the company because ads can be featured there. Your eyes aren’t deceiving you: it’s a 330% intra-day gain, meaning that investors have more than tripled their money in less than one trading day. At this trajectory, heaven only knows how much higher LOOP will climb! He also happens to be a scooter advocate and enthusiast with strong business acumen: he knows a prime opportunity when he sees it. And thus a partnership was born; this morning, LoopShare announced that they’re acquiring electric scooter company Scoot-E from Ray J’s company, Raytroniks. With trendsetter Ray J as the ambassador for Loop Scooters, it’s easy to see why investors are celebrating and grabbing up shares like crazy. You see, it’s essential that electric scooters be viewed not only as practical, efficient, and cost-effective – which they certainly are – but also stylish. 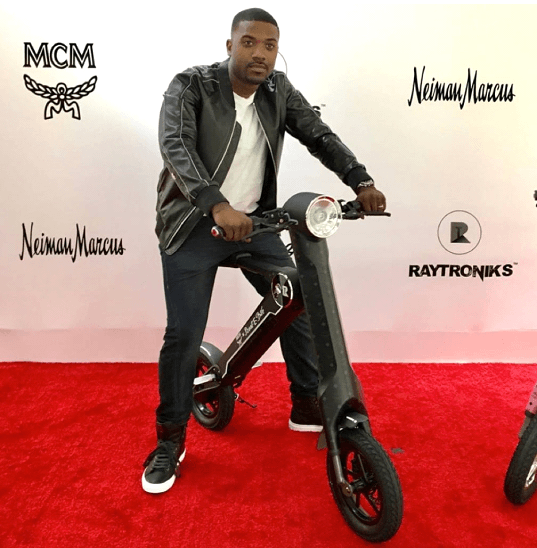 Ray J is making Loop Scooters stylish – they’re a hot commodity among big-city millennials who typically take short trips and don’t want to be bothered with congestive traffic or finding a scarce parking spot. While the blue-chip indices are rolling over, LOOP shares are attaining new highs and shining the spotlight on this small company that has so much growth potential. Tripling in value in a single day is amazing, but it’s only the beginning – there’s much more to come for Loop Scooters. The cannabis industry is huge and on its way to become a global industry.